Ozarkers of Christian County, Missouri, lost an old friend last December. On December 12, 2009, the Riverside Inn (on the banks of the Finley River just north of Ozark) closed for the last time, a victim of misplaced FEMA money and too many summer floods. It is a tragic loss. Although the Riverside’s history is one of public record, it is a history which bears retelling. The Riverside Inn first opened in 1923. The Finley River flowed by out back — and the fried chicken was some of the best to be found. 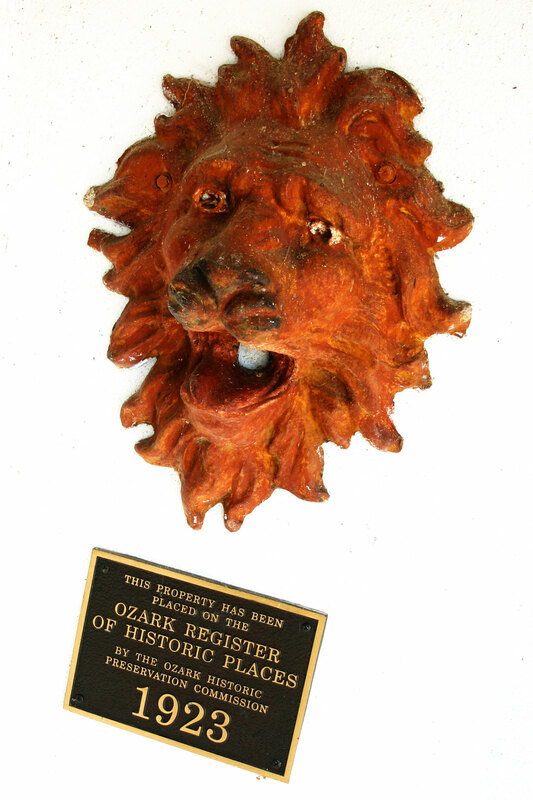 It was owned by Howard Garrison, a young, if eccentric, member of the Ozark community. The rambling building — later added to the Ozark Register of Historic Places — was constructed over the decades, every section a silent witness to passing styles (PLATES 1, 3). If you looked closely, you could see each era in the construction. The first portion of the building, entered beneath the shade of a sweeping magnolia, was all stucco and arches (PLATE 2). 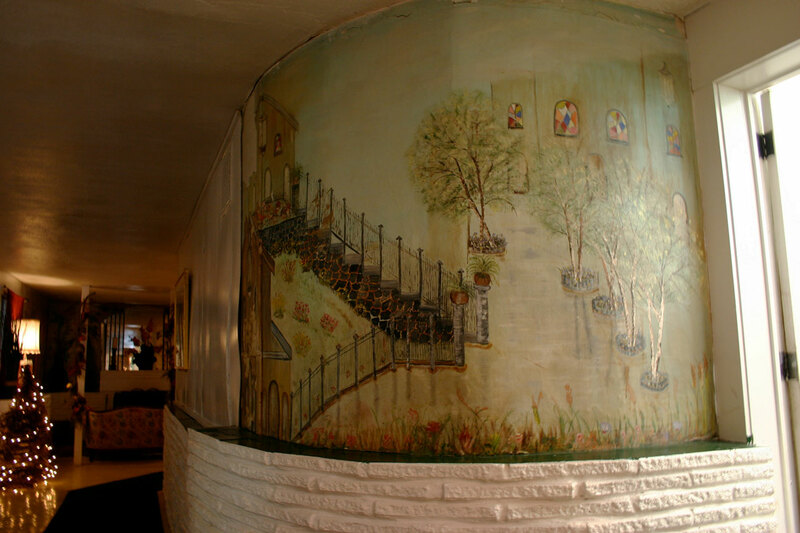 A long, sloped hall led to the back patios, all uniquely adorned with post-impressionism-style art. Howard Garrison was more than a business owner. He was an artist of considerable skill. 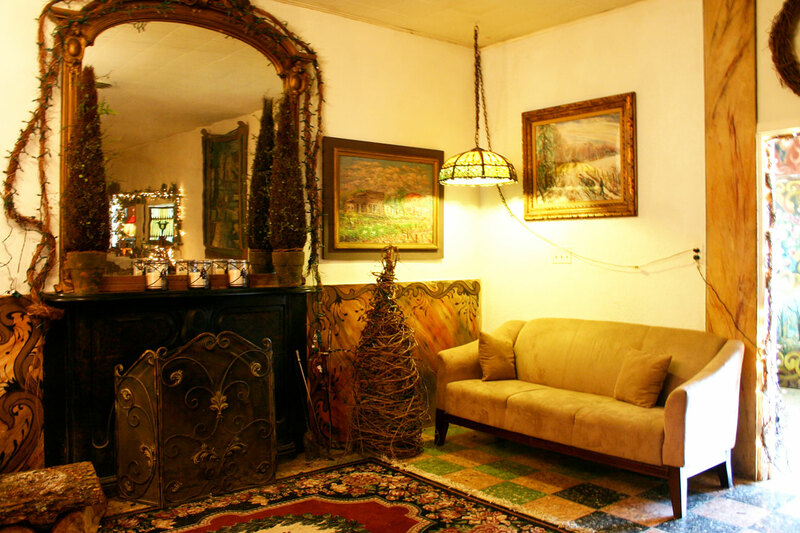 The interior of the Riverside Inn proved Garrison’s own unconventional canvas, marking each passing decade with more art. It would prove a warm, beautiful — but surreal —experience. 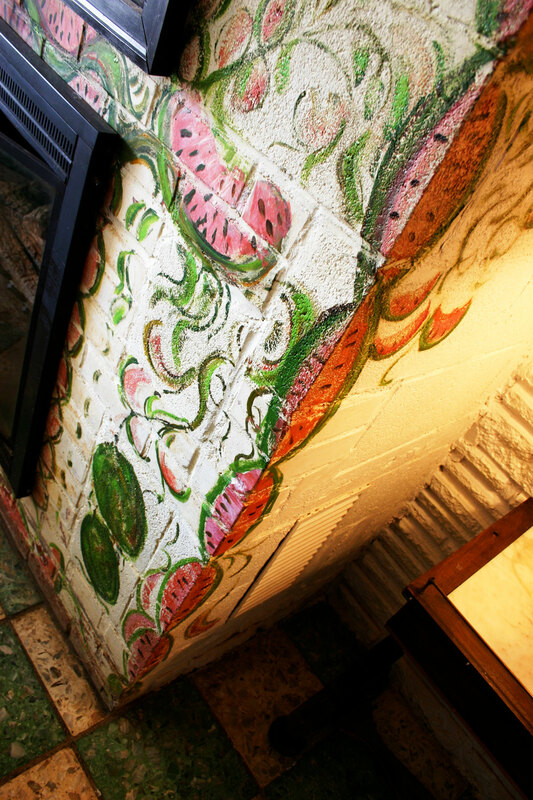 Beyond the delicate, scrolling mural of a French garden? The old speakeasy and gambling den (PLATE 4). Garrison would be sent to prison for that bit of history. “Some of my best vacations were spent in jail,” he would later say, and painted The View from the Jail in Ava just to prove it. That painting hung in the foyer for years (PLATE 5). 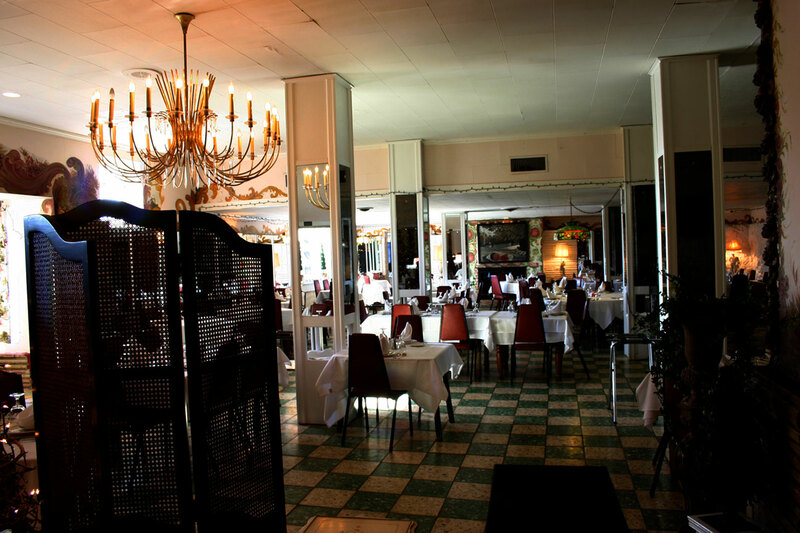 As the decades marched by, sprawling dining rooms progressed westward from the original building. The place would ultimately seat 800. 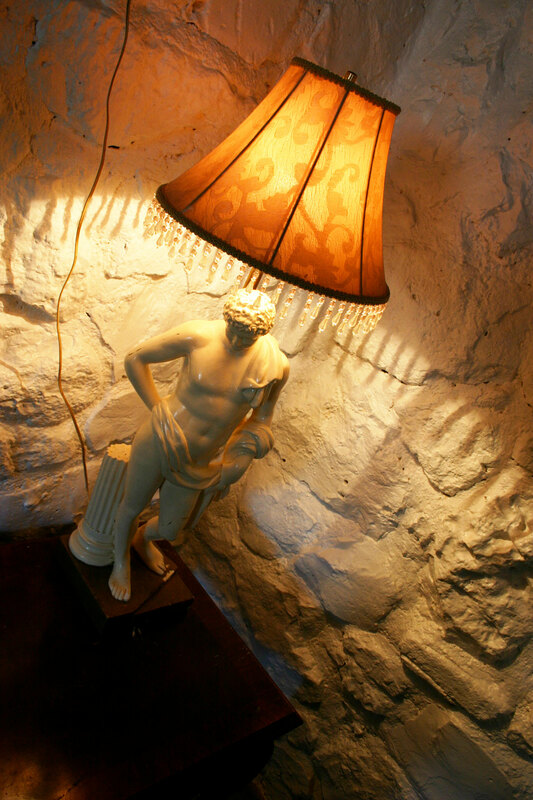 And, although the Riverside Inn will be long-remembered for an ambience and cuisine best defined as exquisite, the restaurant’s decor could effortlessly shift from the sublime to the absurd in a proverbial heartbeat. Amidst the candlelight and good wine, a bacchanal dedication to 20th century art erupted. It was French post impressionism meets 1950s-yard sale with a healthy dose of folk art thrown in for good measure — and generations of patrons loved every square inch. 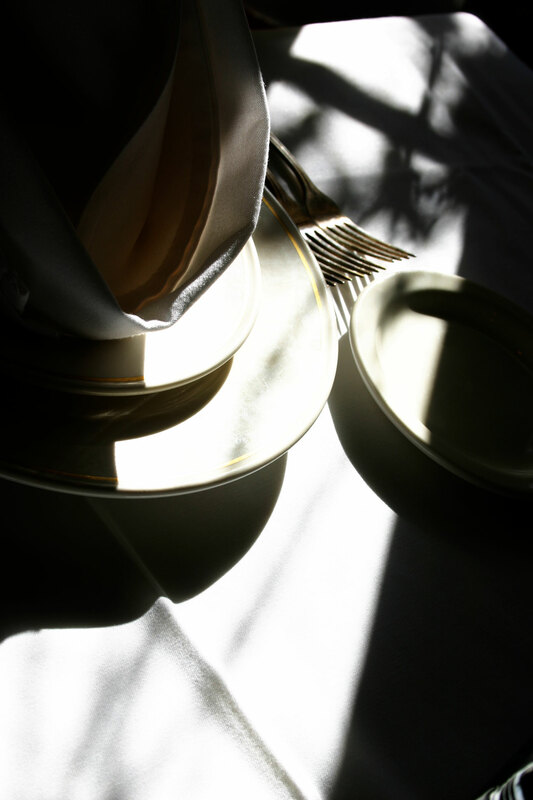 Old green and white linoleum tiles led the way to tables decked with polished silver, fine linen and good china (PLATES 6, 7). Exposed and unfinished cement blocks made up a fireplace, dressed for the occasion in a lyrical watermelon motif (PLATE 11). 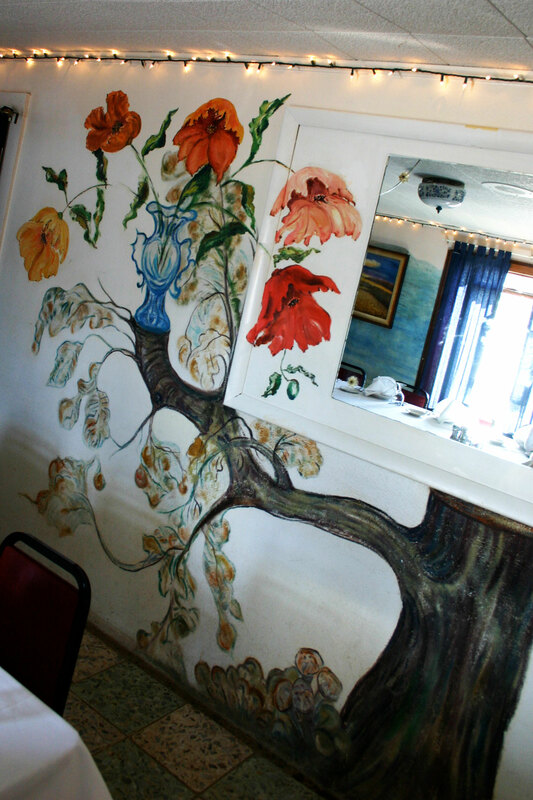 A mirror in the Blue Room, polished and spotless, sedately “rested” atop a figurative oak stump mural. Upon one branch (conveniently sawed off) sat a vase holding a wild, oversized bouquet of poppies (PLATE 10). Sometimes even ceilings became unexpected canvases for Garrison. 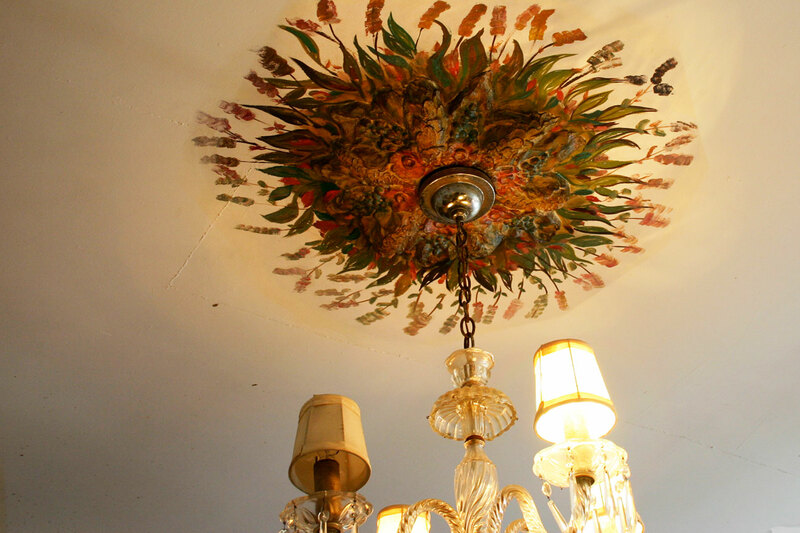 Using copious amounts plaster, bunches of three dimensional flowers and leaves framed chandeliers (PLATE 8). More plaster shored up a massive candlestick in one banquet room. A testimony to baroque or pure, 1950s-era kitsch? That interpretation was left to the viewer. Walls of heavily white-washed Ozark limestone reflected soft light from lamps masquerading as Roman sculpture (PLATE 9). Beadwork and drapes reminiscent of Cleopatra separated some rooms, willowy pear trees others. Ozark winter scenes competed with Russian alcoves and amphorae. “Fine food” is cliché these days. But not at the Riverside. A simple meal of fried chicken was art itself — art as exquisite as anything ever produced by the Jazz Age (which is probably when most of the time-honored recipes were developed). “A fried chicken meal can be exquisite? You’re joking, right?” I can just hear the gourmet snobs asking now. At the Riverside, a fried chicken meal consisted of five courses — six if you ordered hors d’oeuvres. First, there was a cheese plate (Cheddar, Swiss and Danish Blue), arranged with a cluster of grapes alongside Spanish olives, and, occasionally, strawberries. Second, the Riverside Platter was the hors d’oeuvre of choice. Handmade meatballs in a sweet / savory sauce. Fried chicken livers, crispy and not at all bitter. It was a taste of that Jazz Age — all the excitement of an F. Scott Fitzgerald novel — in one dish. These were simple recipes, each successfully defying generations of caterers to equal them. Third, a cup of clear chicken noodle soup, embellished with chopped green onions. A heavy, cut-crystal vase sported light, crunchy bread sticks, baked that evening. Fourth was the salad. It was simple. Romaine lettuce, red onions, homemade croutons, tomato wedges, all tossed with vinegar and oil, topped with imported Parmesan and freshly ground black pepper. A small loaf of dark bread —warm from the oven — was served alongside, garnished by pats of butter. Fifth, the chicken, soaked in buttermilk, tender on the inside, crispy, light and full of flavor. This — the original Riverside recipe. History on a plate. Cook Mary Ellen Marley — in 1923 — fried up batches like this, when the Riverside Inn was just a single, long, low building attracting the curiosity of nearby Ozark. Eighty-six years later, it was a recipe which had lost none of its strength. Seasoned green beans and gingered baby carrots rounded out the entrée. Sixth, and last, a tall slice of rich cheesecake, drizzled with raspberry sauce and garnished with mint — and a cup of coffee — finished the meal. The Riverside Inn will be missed. 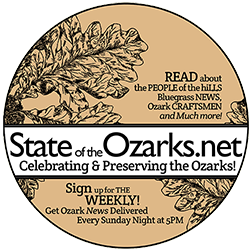 Story originally published by StateoftheOzarks on January 31, 2010. Photography by Joshua Heston. 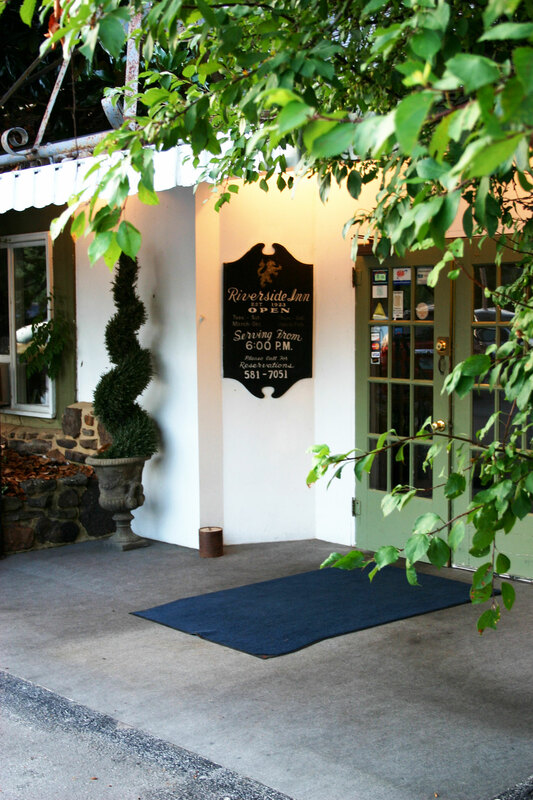 We only ate at the Riverside Inn one time, but it was a wonderful experience. I felt as if we had been transported back in history. I kept waiting for a 1920s flapper to come flouncing through the door. Thank you for sharing your special recollections with us.